These clubs have openings for the following exchanges. If you are interested in participating in any of these exchanges, please contact the Exchange Director listed below. Wouldn't it be great if you got an email just because an exchange to your favorite place had an opening? Let us know where you want to go by filling out our new survey - you might be pleasantly surprised! These 2013-2014 programs represent some of the many places that you can experience and grow your global circle of friends. You may join an exchange with another club from your own country if they have room for you. To join another club’s exchange, contact the Exchange Director (ED) from that club as soon as possible. Remember that many exchange are canceled 90 days previous to the beginning date if there are not enough interested people. So if you are interested in an exchange, please make your interest known to the exchange director well in advance of the exchange, if possible. Once a minimum number is attained, more people can often be added. More trips are added periodically, so check back here if you don't see what you want right now. Some of the following exchanges depart from the United States but are open to all Ambassadors. NOTE: Festivals and "Discover" trips often do not include homestays or offer limited homestays only. See http://www3.thefriendshipforce.org/downloads/2017_All_Exchanges.pdf for a listing of all exchanges. Please forward this exchange information to your friends and others interested in participating as a Friendship Force Ambassador. If you would like to be added to the Friendship Force International mailing list to receive e-mail updates on exchange opportunities, please send your name, postal address, and e-mail address to ffi@thefriendshipforce.org. More opportunities are added as they are received. Cost: $625 USD includes: FFI and host fees, all admissions fees for the week, welcome brunch, Celebration Gala Dinner and farewell party/concert. This Journey has been set up so members can attend the FFI World Conference in Boulder, Colorado from July 23-27, 2019. To maximize our time together we will be making stops with two host clubs, FF Flathead Valley, Montana and FF Cedar Rapids-Iowa City, Iowa and two additional stops for sightseeing in Denver, Colorado and Chicago, Illinois. Cost: $2100 USD includes: FFI and host fees for Flathead Valley and Cedar Rapids-Iowa City, air and coach transport, hotel accommodation in Denver and Chicago. Ambassadors will need to complete their own registration for the World Conference, which is not included in the cost of this Journey. Cost: $940 USD includes: FFI and host fees, programs with host clubs; FF Northeast Ohio - breakfasts, lunches, welcome/farewell dinners, dinner hosting and for one night. FF Dayton - breakfasts, lunches and three dinners. The FF Southern Sydney club is excited at the opportunity of a triple Journey in August 2019 to Canada and the east coast of the USA. If you decide to join us, you will have the chance to see diverse parts of Canada, starting in Edmonton near the beautiful Canadian Rocky Mountains, which you could visit en route if you so desired. Then we fly to the central province of Manitoba near Lake Winnipeg. The Canadian countryside and its people are a joy to experience. After a five-day individual break where everyone will be “doing their own thing,” we will gather in Harrisburg, Pennsylvania, USA. This area is rife with the history of the American Civil War and has Amish and Mennonite communities which we will visit. We also have the chance to enjoy Hershey chocolates amongst many other cultural and culinary pleasures. Some of us will be visiting nearby Washington and possibly staying in New York either during the break or after the Journeys have been completed. The choice is yours! Please contact Teresa Whitters if you are interested in these Journeys or have any questions. We currently have space for 8 ambassadors, and we’d love to meet and travel with you. Cost: $1680 USD includes: FFI and host fees, welcome and farewell dinner, all expenses for the hiking tour (comfortable hotels, dinner, lunch packages, water on the hike) public transport, and all listed activities. Activity level: Challenging . You will need to be in excellent physical condition, as you will be hiking up to six hours a day. Luggage sent ahead. See: https://friendshipforce.org/journeys/hidden-treasures-in-franconia-a-paradise-for-hikers-bavaria-germany/?utm_source=Members+List&utm_campaign=63b75412ac-DECEMBER_JOURNEY_CATALOG_2018&utm_medium=email&utm_term=0_5feca96946-63b75412ac-86901893 Look for the link to the PowerPoint presentation of hiking destinations. Cost: $550 USD includes: FFI and host fees, guided tours and entrance fees, public transport seven-day ticket for Berlin, transport to Wörlitz, and welcome party. Food & beverages are at your own expense while out and about. No traditional Home Hospitality on this Journey, you will be traveling with other Friendship Force members, attending a home-hosted Kaffeeklatsch, and participating in four Exclusive Discovery Series events aimed to inform about local culture, customs, and foods. Leave from Basel, Switzerland. Cost: $2495 USD includes: Accommodations for 10 nights aboard a private river ship with wireless internet access in all common areas and cabins, ALL meals: daily breakfasts, 9 lunches, and 10 dinners— plus all onboard house beer & wine, as well as soft drinks; seven included tours with personal headsets, up to seven Christmas markets, and four Exclusive Discovery Series events: Home-Hosted Kaffeeklatsch • German Christmas Traditions discussion • Stollen baking demonstration • Operation Market Garden discussion, Local Program Directors, gratuities for local guides and motorcoach drivers, baggage handling for one piece of luggage per person, including tips, all port charges, and 5% Frequent Traveler Credit toward your next trip — an average of $189. No set Friendship Force program on this cruise. $2500 USD includes FFI and host fees, tour costs, program fees, tips & gratuities, and domestic travel within China. Cost: $1300 @ USD includes FFI and host fees, all meals, and almost transportation and entrance fees (except during free time) For adult and child/grandchild. Cost: $970 USD includes: FFI and host fees, almost all meals (except breakfast on day 2, and lunch on day 5), and all transportation and entrance fees (excluding any free time). Cost: $2500 USD includes: FFI and host fees, transportation between Mongolia and Ulan-Ude (round trip), all meals while traveling, and official dinners. $3000 USD includes: FFI and tour fees, tips, and domestic airfare. Optional extension: $1270 USD with $187 single supplement. Cost: $1550 USD includes: FFI and host fees, local transportation between sites and most entry fees, and last night's lodging at Family Kingdom Resort. Imagine a week in Bogota, Colombia with a host family. Imagine four days in Quito, Ecuador. Imagine six days exploring the Galápagos Islands. Imagine an optional extension to the Amazon Basin. Yes, all of this as one Journey starting in Bogota on April 26, 2019. Bonnie Evans is the journey director of this amazing adventure and a bucket list travel dream. The people you will meet will be unforgettable. The places you see will be with you forever. The adventures you will so will keep you young and make your life exciting. Cost: $1300 USD includes: FFI and host fees, domestic flight from Fortaleza to São Luís. Cost: $1395 USD includes: FFI and host fees for two FF club homestays, Iguassu Falls extension, E-Visa, and travel insurance either through FFI or personal insurance coverage. $2400 USD includes: FFI and host fees, all travel within New Zealand from arrival in Auckland to the Journey’s end in Palmerston North; all accommodation; entry to all listed attractions; and some meals. International airfare is not included. Nine nights in hotels and 12 nights of home hosting. Start your tour with seven days exploring farms in the North Island accompanied by your tour guide, Friendship Force NZ Field Rep Debbie Lattey. You will then be hosted by two rural NZ clubs, Wairarapa and Manawatu, for a week each, and be shown the best of rural life in New Zealand! 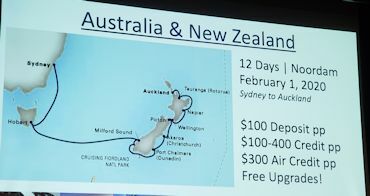 Cost: $3725 USD includes: FFI and host fees, and South Island tour. $820 USD includes: FFI and host fees, bicycle and helmet hire, some meals and drinks, transportation, and venue hire. Discover Trips have been organized to take groups to areas where Friendship Force wishes to establish clubs. They are open to Friendship Force members from any country. Ambassadors stay in hotels but meet with local people interested in forming new clubs. Global Exchanges are open to all FF members around the world. $970 USD includes: FFI and host fees, almost all meals (except breakfast on day 2, and lunch on day 5), and all transportation and entrance fees (excluding any free time). Transportation will be provided in an air-conditioned vehicle throughout the tour. Service of an English-speaking Guide in provided throughout the tour. Accommodation will be provided in homestay rooms (apartment with no host family). Food will be provided starting from a light breakfast on the first day to lunch on day 6, (except breakfast on day 2 and lunch on day 5). Despite its small size, the Friendship Force club of Kuala Lumpur is excited to promote the mission of our organization with you on this Journey to Malaysia! Visit spectacular mosques and museums, learn about the preserved culture of Malaysia, and enjoy interacting with local students when you have lunch at a local Islamic school. Cost: $3000 USD includes: FFI and tour fees, tips, and domestic airfare. Note: Due to the high level of interest in the first Discover Spain and Portugal Journey, we have added a second version during the exact same dates with the reverse itinerary. Though we do not have clubs in Spain and Portugal, you will get to know Friendship Force members from all over the world as we discover the best of these two countries. Join us on the second installment of Friendship Force's Festival at Sea cruises! This fifteen-day Voyage aboard the Zaandam will be one of the greatest cruising experiences anywhere, with spectacular scenery and wildlife: fjords, glaciers, waterfalls, volcanoes, penguins, eagles, and whales. Whether you come alone or with friends, you will be right at home with your fellow Friendship Force travelers during this two-week voyage of workshops, team-building activities, and of course, plenty of sightseeing in each of our ports-of-call! $2495 USD includes: Accommodations for 10 nights aboard a private river ship with wireless internet access in all common areas and cabins, ALL meals: daily breakfasts, 9 lunches, and 10 dinners— plus all onboard house beer & wine, as well as soft drinks; seven included tours with personal headsets, up to seven Christmas markets, and four Exclusive Discovery Series events: Home-Hosted Kaffeeklatsch • German Christmas Traditions discussion • Stollen baking demonstration • Operation Market Garden discussion, Local Program Directors, gratuities for local guides and motorcoach drivers, baggage handling for one piece of luggage per person, including tips, all port charges, and 5% Frequent Traveler Credit toward your next trip — an average of $189. No set Friendship Force program on this cruise. Friendship Force International has an exclusive partnership with MyLanguageExchange.com, and it’s a great match. 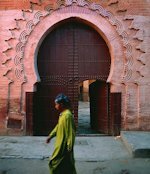 On www.MyLanguageExchange.com, you can practice a new language by communicating with a native speaker through online voice chats, text chats or email - great assets to take with you when you travel the world. Consider joining My Language Exchange to start practicing a new language before your next exchange. Friendship Force conducts a small number of language-learning themed exchanges every year. Read more about them on the FFI website, or contact Kathy Thomas for more information: kthomas@thefriendshipforce.org. Dave Kalan: As the Exchange Director for the USA Eco-Exchange, I invite you to consider and promote our eco-exchanges as they are introduced. See additional special exchanges in USA, Europe. More details coming on both these cruises. NOTE: Air credit applied only to those booking during this past South American cruise. See our website and the FFI website for other places you can go. Remember you can join other clubs if they have room for you. 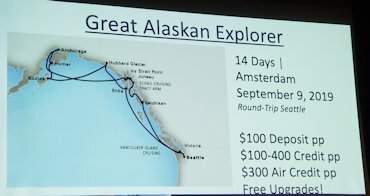 If you see a Journey that interests you, be sure to contact the Coordinator as soon as possible, as trips may fill up, or they may cancel if those in charge don't have enough people and don't know about your interest.https://friendshipforce.org/journeys/.